Going a decade strong, Cincinnati’s “grit-pop” punk quartet, Vacation, are releasing a new LP. 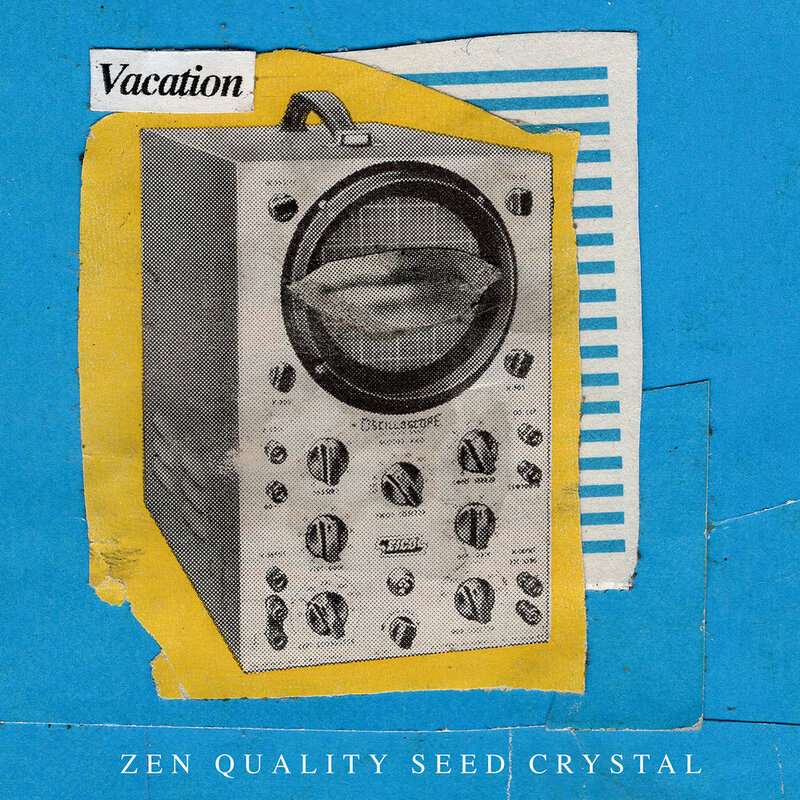 Come early May, their record Zen Quality Seed Crystal will be out via Salinas Records. Vacation will be playing a short run of East Coast and Canada dates (below) leading up to the release. Once Zen Quality Seed Crystal is out, the band will embark on an eleven day, ten gig stretch in Europe. Which brings us to first song off the new Vacation record: “Capitol Drive.” Wasting no time at all the song casts out a hook driven by syncopated drums, bass, and rhythm guitar, alongside a warbling guitar lead. The distorted nature of the bass tone reveals itself on the upswing of the intro, which marches forward as vocals enter with a few sparsely punk nuances breaking up the guitar chords. As “Capitol Drive” progresses the chorus levels out with a slight resolution and the incorporation of a pulsating tremolo-heavy guitar line. The essentially unchanging drum part throughout “Capitol Drive” creates a pulsating groove that blends nicely with the song’s fuzzy, fluttering bass lines. Lyrically, the track conjures up satirical memories and sneering political stabs chanting lines like: “strolling down the street of a sunny memory, where White House and Capitol collide” and “gather round the TV, CNN and candy. Upwards to the stars we will rise!" Vacation ends the song characteristically well with a sloping fadeout. Everything flawlessly fades to vocal repetitions of the words “on White House Drive.” The overall gritty-by-nature punk tones and borderline pop song structure of “Capitol Drive” harnesses the power of a good hook and ability to refrain from overthinking what should not be overthought.